Robin Kelly was born on April 30, 1956 in New York City. She earned a BA in psychology from Bradley University in 1977, an MA in counseling from Bradley in 1982, and a PhD in political science from Northern Illinois University in 2004. Kelly has worked variously as director of the Illinois-based Crittenton Care and Counseling Center (1984-87); associate director of an Illinois youth shelter (1987-90); director of minority student services at Bradley University (1990-92); director of community affairs in the Village of Matteson, Illinois (1992-2006); chief administrative officer of Cook County, Illinois (2011); and chief of staff in the Illinois State Treasurer’s Office (2010-12). 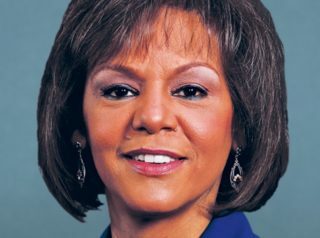 She launched her political career in 2002 when she was elected, as a Democrat, to the Illinois State House of Representatives, where she served for four years. In 2004 she worked on Barack Obama’s successful campaign for the U.S. Senate, and from 2007-10 she was the state treasurer of Illinois. From August 2009 through late 2010—when Kelly was actively campaigning for re-election as state treasurer—she filed 107 separate requests for unpaid time off from her job. Eighty-two percent of those requests were approved by a human-resources director who reported to Kelly, rather than by a supervisor. Moreover, many of the requests were submitted long after the time off had already been taken. When Executive Inspector General David Wells learned of these abuses, he recommended that Kelly be disciplined. At her own, one-person candidate forum in early April 2013, Kelly argued against concealed-carry gun permits by citing the July 20, 2012 mass shooting that had occurred inside a Cinemark theater in Aurora, Colorado, killing 12 and wounding more than 50. Kelly told her audience that “in the movie [the Cinemark theater], they have conceal and carry, but nobody pulled out their guns to kill the gentleman that did all the damage that he did.” But Kelly was mistaken. The theater where the killings took place was the only located one within 20 minutes of the shooter’s apartment that had a policy explicitly banning guns from the premises. On April 9, 2013, Kelly won a special election to determine who would succeed Jesse Jackson Jr., who had recently resigned from Congress, as the Representative of Illinois’ 2nd Congressional District in the U.S. House. Among Kelly’s strongest political supporters in the campaign were J Street, Planned Parenthood, Democracy for America, the Daily Kos (which gave her more than $130,000 in donations), and New York City mayor Michael Bloomberg’s Independence PAC (which donated more than $2 million to Kelly’s congressional bid). She also received the endorsement of President Obama. Kelly continues to serve in the U.S. House as a member of the Congressional Black Caucus. In November 2014 Kelly voiced support for President Obama’s then-recent executive actions designed to prevent the deportation of millions of illegal immigrants—Deferred Action for Childhood Arrivals (DACA) and Deferred Action for Parents of Americans and Lawful Permanent Residents (DAPA). She depicted these measures as “an important first step toward … comprehensive immigration reform” that would “keep families together” by creating a path-to-citizenship as well as chain-migration rights for illegals already residing in the United States. more guns in the hands of private citizens inevitably result in higher levels of crime, thus the availability of firearms should be restricted by whatever means are effective. For an overview of Kelly’s voting record on a wider range of issues during her years as a legislator, click here. Further Reading: “Robin Kelly” (Votesmart.org, Keywiki.org); “Robin Kelly No Stranger to Radical Left, Chicago’s Culture of Corruption” (Breitbart.com, 3-21-2013); “Robin Kelly: Conceal and Carry Failed in Aurora Shooting’s Gun-Free Theater” (Breitbart.com, 4-5-2013); “Kelly Endorsed by Planned Parenthood in 2nd CD Race” (Illinois Review, 3-21-2013); “Congresswoman Robin Kelly’s Statement in Response to President Obama’s Executive Action on Immigration” (11-21-2014); “Chicago Dems Rip Bears for Backing NFL’s Anthem Protest Ban” (by Warner Todd Huston, 6-6-2018); Robin Kelly’s Positions on Major Issues (OnTheIssues.org).